This tasty and nutritious snack also makes a lovely starter. The guacamole makes a great sandwich filler, and you could also add prawns or crab and lettuce. Or maybe just use the guacamole as a dip with pitta fingers and vegetable sticks. Follow a recipe; follow food safety & hygiene rules; tidy away; chop using bridge/claw safely; snip herbs with scissors; mash; use a citrus squeezer/zester; use the hob (with adult supervision); garnish and decorate. Knife, chopping board, jug, kettle, medium mixing bowl, toaster. Prepare the tomatoes by making a cross with a knife on the stalk end of the tomato, place in boiling water for 30 seconds, remove and peel. After peeling de-seed and chop. Add the chopped tomatoes and avocados to the mixing bowl with the remaining ingredients (except the bread and garnish). 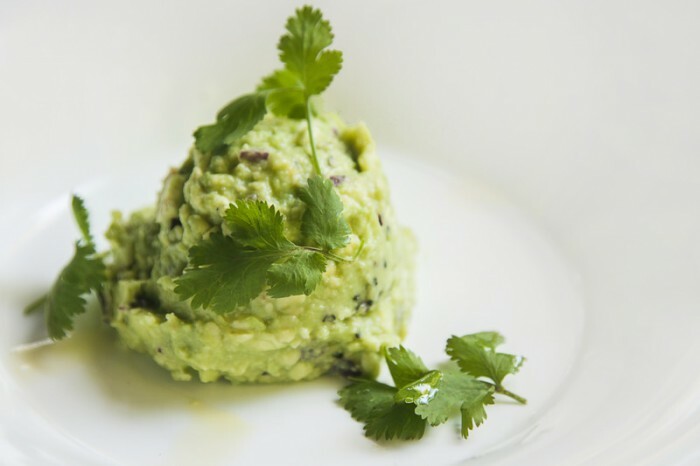 Combine the mixture well with a fork until you have a rough puree of dipping consistency, with a few pieces of avocado still apparent. Toast the bread, then halve diagonally and arrange on plates. Top each piece of toast with some guacamole and garnish with a coriander sprig. 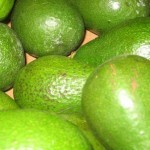 Avocados are a good source of a range of vitamins (C, E and B6), minerals and fibre. They are high in calories and fat, but the type of fat they contain is considered to be a ‘healthy’ fat (monounsaturated fat). Tomatoes contain plenty of vitamins and minerals. 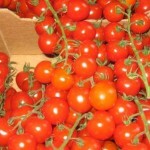 They also contain lycopene, a type of antioxidant which can help protect us against certain diseases. Bread is a good source of complex carbohydrates which gives us energy. It is also a good source of fibre and B vitamins.